A Donegal woman has scooped $10,000 and a trip to the US on tonight’s Late Late Show. Grace Kelly from Lifford didn’t think she had much of a chance when she texted her entry into the live competition on the popular RTE Show. 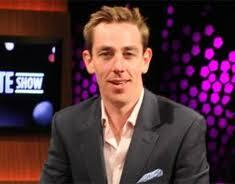 But she got the shock of her life when she was telephoned by Ryan Tubridy’s team to say she had won. Grace revealed she was at home on the sofa with her mum Kitty as she received the good news in front of the nation. A delighted Grace said she would love the prize when asked by the RTE star if she really wanted it. She’s now off to Los Angeles and Hollywood – with 10k spending money.